Now is the task of setting up your bowl and releasing the ornamental fish into it. If your water source is tap water, then collect the water in a clean container and add the water conditioner in the required quantity, mix well and allow the water to age for up to 3 days if possible. Otherwise use bottled RO(reverse osmosis) processed drinking water which is not ionized. Never use distilled water or boiled water for the fish bowl as the pets will die due to lack of dissolved oxygen. As soon as the ornamental fish has reached your home you have to acclimatize it to the new water so that there is no stress to the pet. Acclimatization is, conditioning it to the new water at your home as well as the temperature variations. Release the pet with the water it is in, into the plastic container slowly. Then add the processed water to increase the volume of water in the bowl by 20%. Wait for 15 minutes and then remove 20% of the water and again add 30% fresh processed water. Then wait for 15 minutes and remove 30% of the water and add 40% of the processed water. Repeat this method for 4 to 5 times with 15 minute gaps. 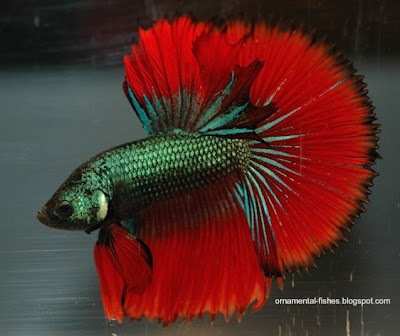 At the end of the treatment the ornamental fish would have got acclimatized to your water. Now take the bowl and arrange the glass beads and gravel for up to 1' height. Place the decorative pieces and fake plants to create a niche for the ornamental fish to hide in if it wants. Then add the aged or processed water into the container very slowly without creating bubbles. If air bubbles form while pouring the water they will stick to the sides of the ornamental fish bowl and give a ugly appearance. Fill the water only up to 80% of the height of the bowl so that water and air interface will be greater and more air can dissolve into the water. Then take the ornamental fish gently with the help of the net and release it into its new home. Keep the ornamental bowl in a lighted display area of the home away from heat sources. Do not keep the ornamental fish bowl in the sun light as this may heat up the water and cause distress to the pet. Too much of light also induces algae to grow on the sides and in some cases the water itself may turn green due to algal growth. Use the mesh cover to cover the mouth of the bowl so that the pet does not jump out. After 12 hours from the time of release, you can start feeding the them with formula feed. Feed the ornamental fish with small quantities one to two times a day. They should be able to finish the feed in two minutes.